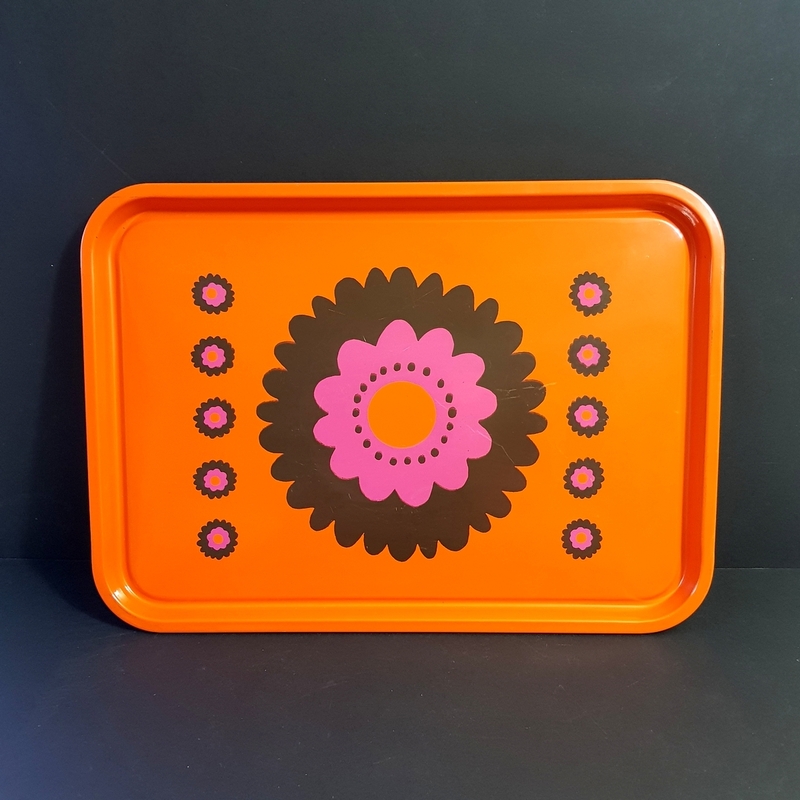 Stunning large vintage Brabantia tray with perfect retro orange color and brown/pink flowers, known as the PATRICE design. 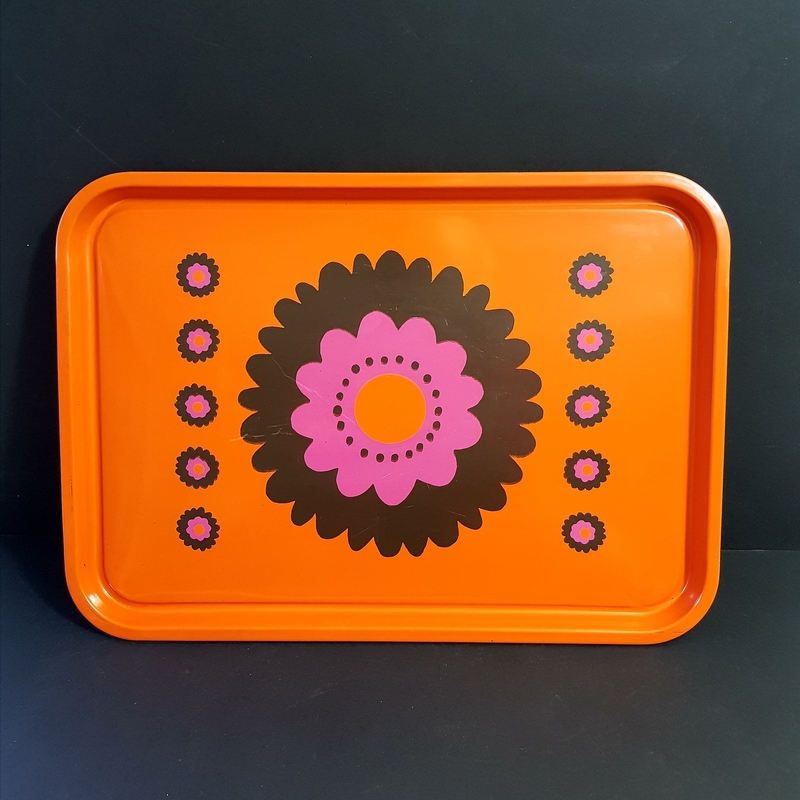 This tray dates back to the late 1960’s, early 70’s. 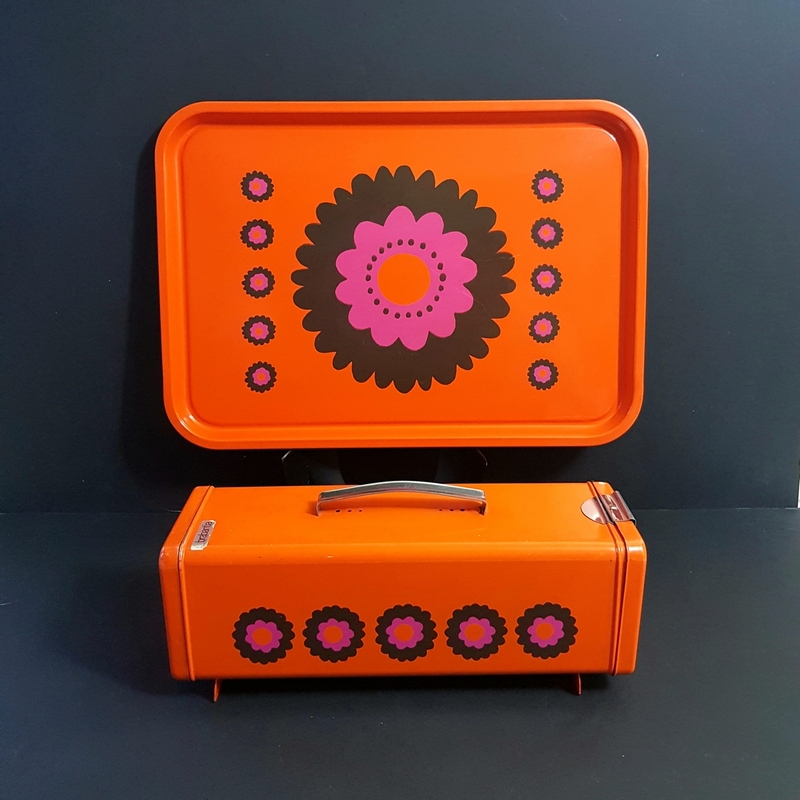 Brabantia had a whole range of kitchen items in this wonderful pattern, including bread bins, pans and cake and biscuit tins. These large trays are quite rare and much sought after. Condition: Excellent. 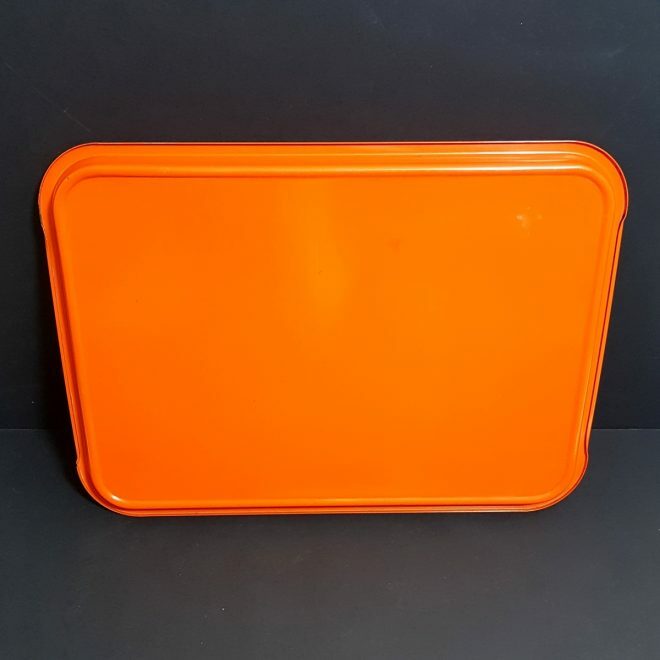 The beauty of this item is that it is in such great condition, with just a couple of very minor scratches which are hardly noticeable. 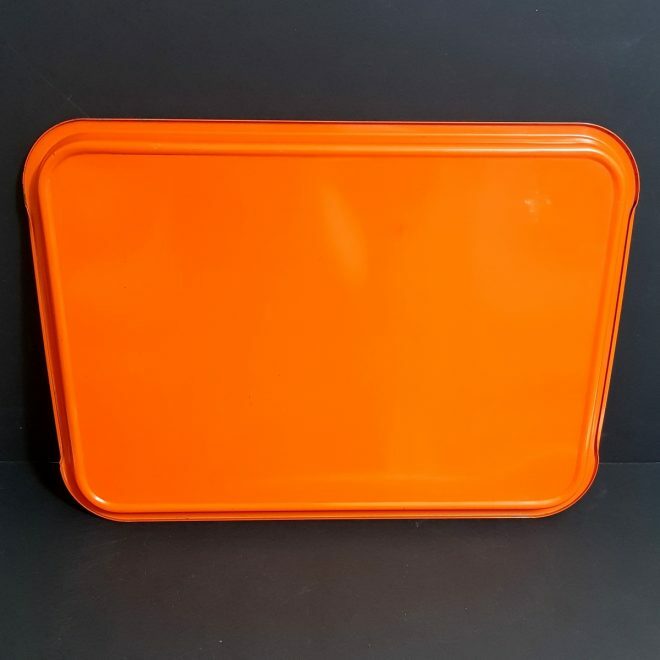 There is no rust or marking to the metal. 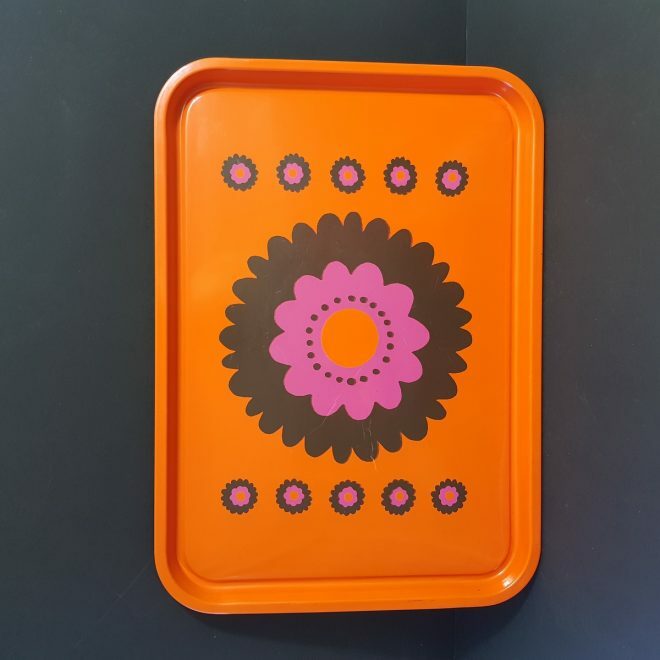 Please refer to photos for up close detail.